A massed gathering of young and old took over The Clore Ballroom at Royal Festival Hall to learn capoeira Angola – the beautiful and exhilarating Brazilian art-form of martial arts and dance. The free workshops were hosted by Kabula, a community organisation that aims to connect and inspire people using capoeira Angola. They were punctuated by spectacular showcases indicating the athletic grace and beauty unique to this national Brazilian pastime which blends dance, play, fight and music of Afro-Brazilian origin. ‘We were really happy to see all our capoeira friends joining us in this special moment for the promotion of capoeira Angola in London,’ Kabula told us. Southbank Centre’s Festival Brazil continues until 5 September. Look out for the presentation of MC Marechal and Akala’s Project Performace, created with a group of young people from Hackney Youth Offending Team on Saturday 28 August. 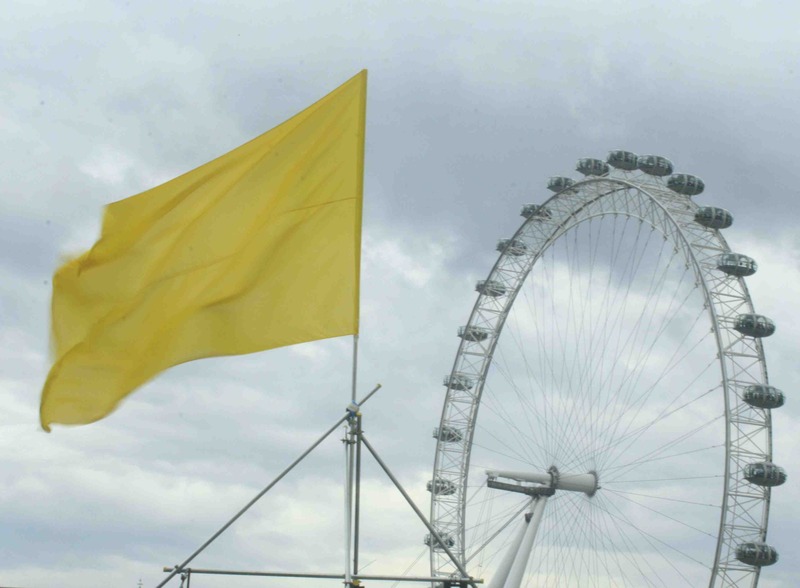 Why are there yellow flags on Royal Festival Hall? The colourful flags by Gringo Cardia represent the celebration of summer at Southbank Centre during Festival Brazil. 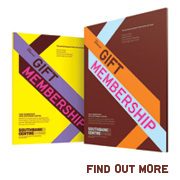 Along with the continual buzz of artistic activity, the summer months often mean two things at Southbank Centre. Pimms consumption reaches its dizzy heights on Central Bar Terrace outside Royal Festival Hall and Jeppe Hein’s Appearing Rooms drenches a multitude of enthusiastic volunteers who dare to brave the water jets. This sense of joy has been reflected by a cross-site artwork called Rays of Light created by Brazilian designer Gringo Cardia. Cardia, who started out as a gymnast, has earned an enviable reputation as one of the most sought-after designers in the world of performing arts and video in Brazil. He is perhaps most widely known for his Cirque du Soleil set-designs, although he has also worked in architecture and graphic design. Pass by on the footpath along the Thames and you can’t miss Rays of Light. 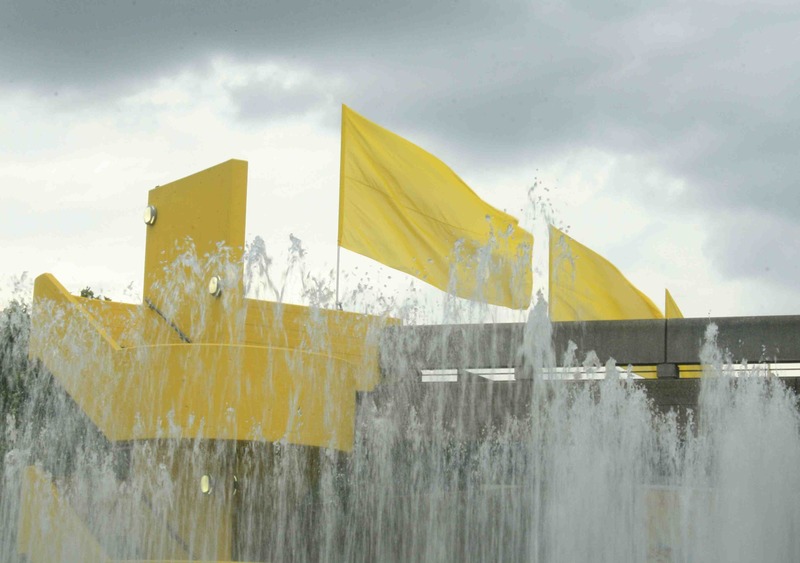 Cardia has chosen to celebrate Southbank Centre’s summer-long Festival Brazil with a brilliant collection of canary-yellow flags adorning many of our venues, including Royal Festival Hall and Queen Elizabeth Hall. ‘[The idea] is to bring… the light of summer through the yellow colour flaming all over the building,’ he explains. ‘The inspiration for that is that yellow is the colour of Brazil and at the same time the colour of the sun, happiness and the summer. ‘The idea of adorning the building with such a simple but organic installation is that the building is alive. As the wind changes, the flags change their movement, and for me that is a thermometer of the nature – itself changing all the time. ‘[Lastly] I think the symbolism of the flags is party and [feeling] happiness together. Why don’t you come and join the party? Get involved in the many free Festival Brazil events taking place each weekend, including samba classes, live gigs and celebrations of Brazilian dance and music. If it were up to you, what colour flags would you choose and why? The flags appear on many of Southbank Centre's venues, including Queen Elizabeth Hall (pictured) and Royal Festival Hall. Previews of Brazil! Brazil! at E4 Udderbelly have already called the show ‘irresistible’ (The Stage) – we’re looking forward to many more incredible, high-octane performances of music, capoeira and football by these incredible performers. Bringing the vibrant, dynamic culture of contemporary Brazil to the heart of London, Festival Brazil at Southbank Centre will celebrate the country’s rich cultural heritage – including music, visual arts, dance, literature, debates and food. Performers will include cultural icon Maria Bethânia, superstar singer song-writer Gilberto Gil, the legendary psychedelic rock band Os Mutantes and tropicália star Tom Zé. And look out for the many free performances that take over the Southbank Centre site during the Festival.